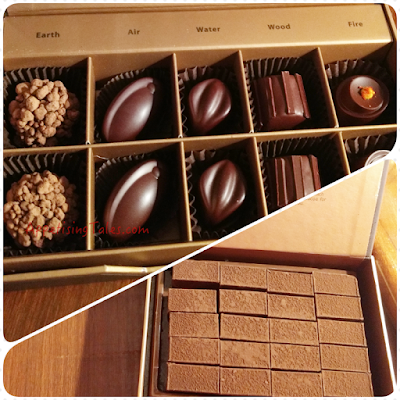 It is a well-known fact that famous chocolate producing countries, including Belgium and Switzerland, source the finest cocoa from different parts of the world to create the finest chocolates. The ITC adopted a somewhat similar strategy to create the finest brand of chocolates and chocolate boutiques that India has seen so far. 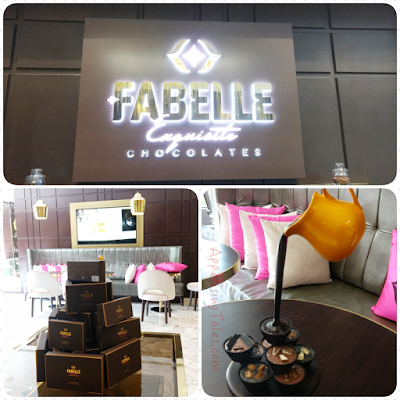 After extensive research of almost a decade, Fabelle boutiques in ITC's luxury hotels offer an immersive and participative chocolate experience. Single origin cocoas from the seven best cocoa growing regions in Africa and South America such as Madagascar, Ivory Coast, Venezuela, Saint Domingue and Sao Tome, have been combined with gourmet ingredients such as Acacia nectar, French sea salt, Ancho chilli to create decadent chocolate pralines, ganache and exquisitely crafted desserts and cocoa beverages. Since there are no added preservatives, although emulsifiers have been used, the shelf-life is limited from 45 days to 6 months depending on what you buy. And although it is advised that you refrigerate the chocolates, they are best eaten at room temperature. So even if you have to wait for 10-15 minutes to pop a ganache in your mouth, it can be an irresistibly long wait. The aroma of rich cocoa welcomes me into the Fabelle Boutique at ITC Maurya. 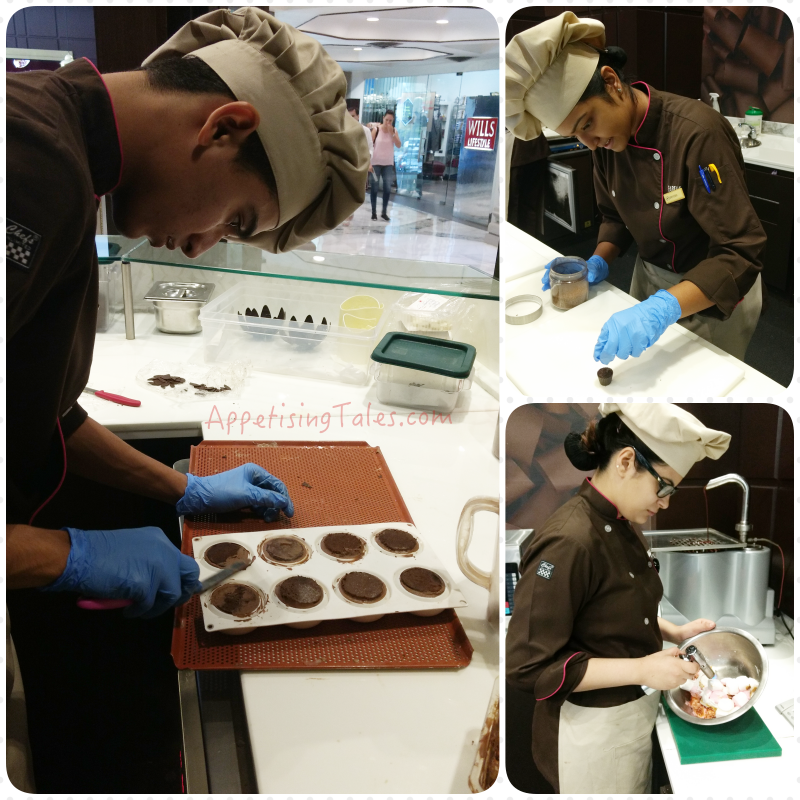 While the exquisite cocoa is processed into luscious chocolate in Bengaluru, many chocolates and desserts are created right here in the show kitchen. You can take your pick from single bite ganache and pralines with exquisite fillings and flavour combinations, order a gourmet dessert or beverage, and even create your own chocolate cup with a choice of dark or milk chocolate, fillings ranging from dark choco crème or white crème to berry preserve or caramel, and upto two toppings from almond slices and cocoa nibs to arabica coffee to powdered sugar. While you relax in the luxe seating, order a beverage or two from a choice of flavours in iced chocolate or warm cocoa. I would suggest the Smores chocolate milk made with pure Ghana milk chocolate with flame charred marshmallows and chocolate chips. 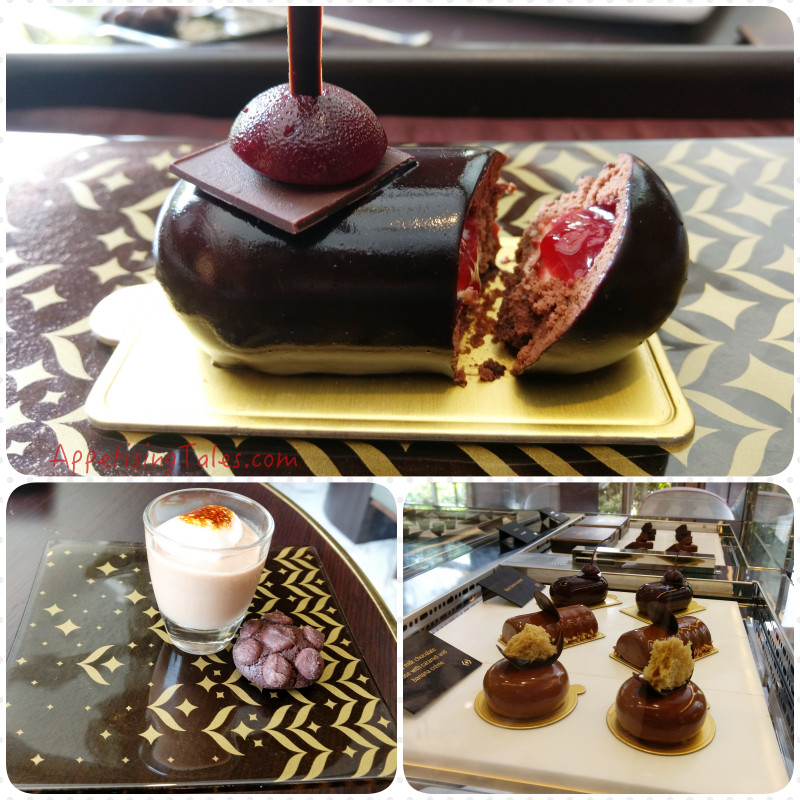 Then there are signature chocolate entremets, inspired chocolate bites and theatrical delights that offer an exquisite plating and drama as in the Chocolate Flower that unfolds at your table. For this festive season there is a range of exquisite hampers, and boxes of ganache as well as special range of chocolates named Elements - intricately crafted pralines inspired by the elements of nature. A box of 20 cubes of ganache in one of the three flavours – creamy milk, rich dark or rich dark with apple and cinnamon – priced at Rs 745. Elements features Earth with a dark chocolate pod filled with a dark mousse, encrusted with rocky chocolate; Air with a light, aerated mousse embraced by delectable dark chocolate; Water with dark chocolate mousse dripping with acacia nectar, laced with French sea salt and enveloped in a rich-dark chocolate shell; Wood with a log made with chocolate, cinnamon, coffee and mousse; and Fire with fiery Ancho chilli on top of a dark chocolate shell filled with white mousse and candied mango. These handcrafted pralines come in different sized boxes, with a box of 5 for Rs 450, box of 10 for Rs 850 and a box of 20 for Rs 1595. Fabelle boutiques are available at the ITC Gardenia in Bengaluru, ITC Sonar in Kolkata, ITC Grand Chola in Chennai and ITC Maurya in New Delhi, with ITC Grand Maratha in Mumbai following soon. Most boutiques are open from 11am to 12.30am, making them an ideal stop for a nightcap. Fabelle, ITC Maurya, Sardar Patel Marg, Diplomatic Enclave, New Delhi. This article first appeared on indiatoday.intoday.in on October 27, 2016. It has been modified by the author to fit the requirements of AppetisingTales.com.